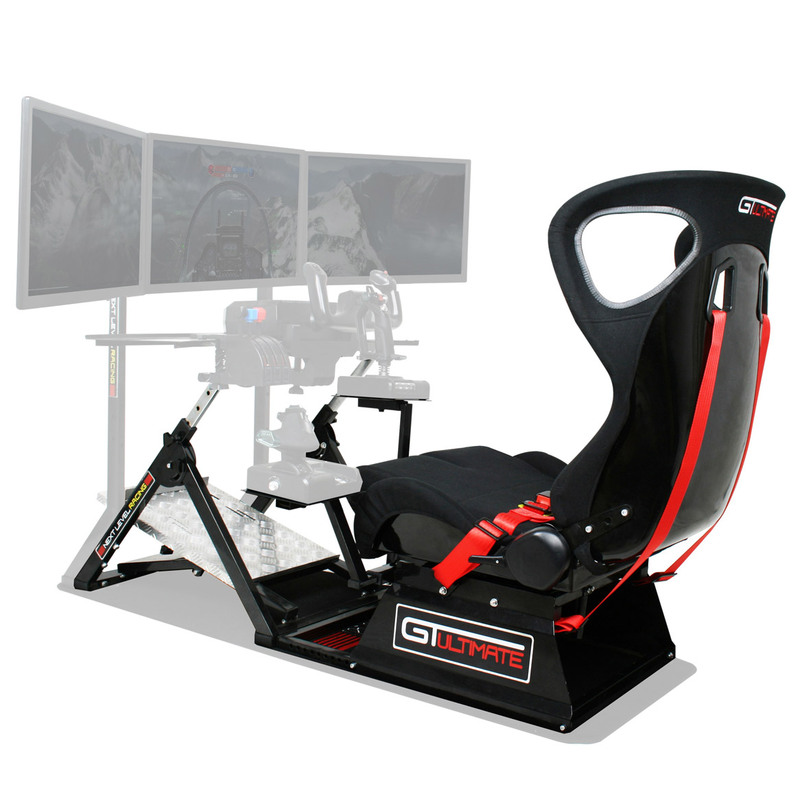 The Next Level Racing Flight Simulator Cockpit finally makes it affordable to have a professional grade flight simulator cockpit in your very own home. And, this money saving bundle gives you everything needed for a perfect flight simulator setup. Just add flight simulator controls! Purchase today and you can return it in the original condition through Tuesday, May 07, 2019 ! See our return policy. Q: This doesn't come with a mount to be used for my monitors? Do you have any advice? I am using 3 Acer monitors. A: We also offer the Next Level Monitor Stand here that can accommodate up to 3 x 30" screens. Allows you to have your screens in the perfect position of your choice and allows you to change the position of the screen easily and quickly. Supports triple screens from 32 - 65" allowing up to a huge 195° of peripheral vision for incredible realism.